A man described as the “hottest Pacific islander” by the international media after becoming a household name during the Rio Olympics is keen to promote the Pacific region wherever and however he can. The 28-year-old Pita Taufatofua of Tonga made the assurance during an interview with the Samoa Observer in China recently. He was among the Tongan delegation at the 2016 Guangdong 21st Century Maritime Silk Road International Expo where he did what he does best. He was shirtless, well greased with coconut oil and of course carrying the Tongan flag. 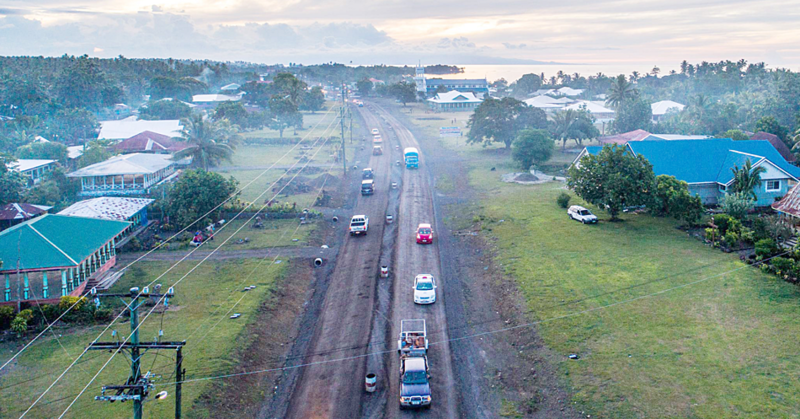 But his passion to see the Pacific nations become tourism go to places transcends beyond Tonga. And having shot to stardom overnight, Mr. Taufatofua said he wants to ensure the Pacific countries get as much mileage out of the exposure he is providing. “For me it’s about getting the Pacific out to the world,” he said. “It’s about showing the world that we are leaders." When he stepped out as his nation’s flag bearer at the Olympics, Mr. Taufatofua said he was not only carrying the flag for his country, he carried it for the rest of the Pacific Nations. “We have to show them that those little dots on the map exist,” he said. 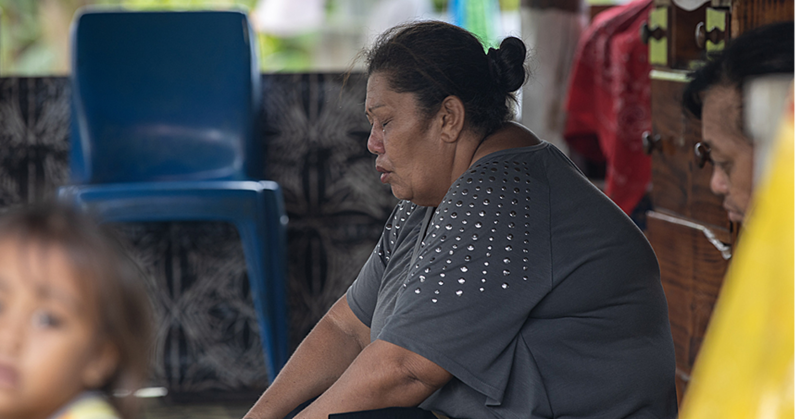 Mr. Taufatofua believes this is the time for the Pacific nations to rise up. 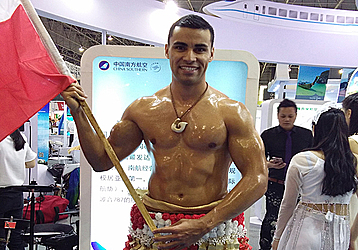 At the 2016 Guangdong 21st Century Maritime Silk Road International Expo, Mr. Taufatofua was one of the most popular delegates. The Tongan Olympian flag bearer did it again when he walked through halls of the Guangdong Modern International Exhibition Centre, attracting attention from the thousands in attendance. As Taufatofua made his way to the Tongan stage for their performance, he was no stranger to many Asians in the house as they turned around and took selfies with him which delayed the program that day. As a proud pacific islander, Taufatofua shared his message with everyone else saying that we Pacific Islanders have the God given talents to the best. 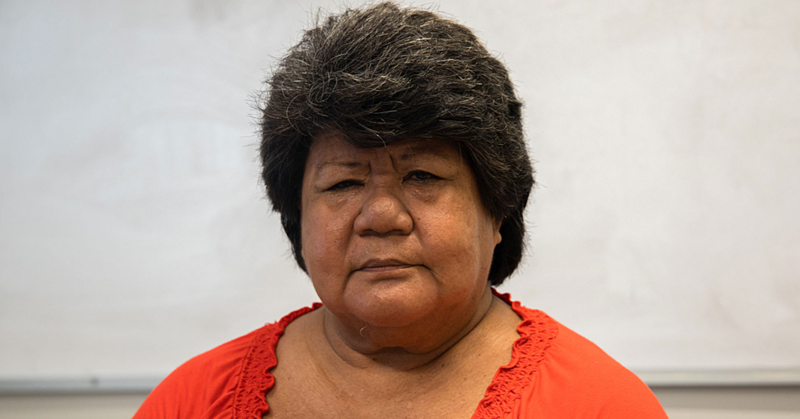 “It is what it is to do best, you need to stand up, don’t wait for people to decide what we have to do,” said Taufatofua. He also said it doesn’t matter what the world will throw at us, our unique selling point is our culture, our values, our heritage, our Christian countries. “I feel that there’s no need for us to suddenly change and try to fit in with the rest of the world, but at the Olympics, we stood out by being us we didn’t have to conform to what they are but we broke the internet, the pacific did that not just me,” Taufatofua smiled. Pita Taufatofua is the son of Pita and Rosemary FaletoeseTaufatofua from the Kingdom of Tonga. From the Island of Ha’apai, his father is full blooded Tongan while his mother is an Australian British. He is the third of six siblings and all his life he grew up in Tonga but only have his summer upbringing in Australia. Taufatofua works as a Youth Counselor spending most of his time with homeless kids.